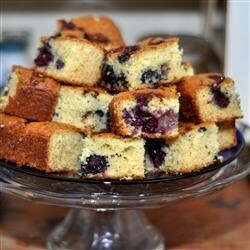 This Sweet Polish Cherry Cake Recipe creates a delicious homemade Polish cake with cherries for the whole family. The original recipe was found on allrecipes.com. 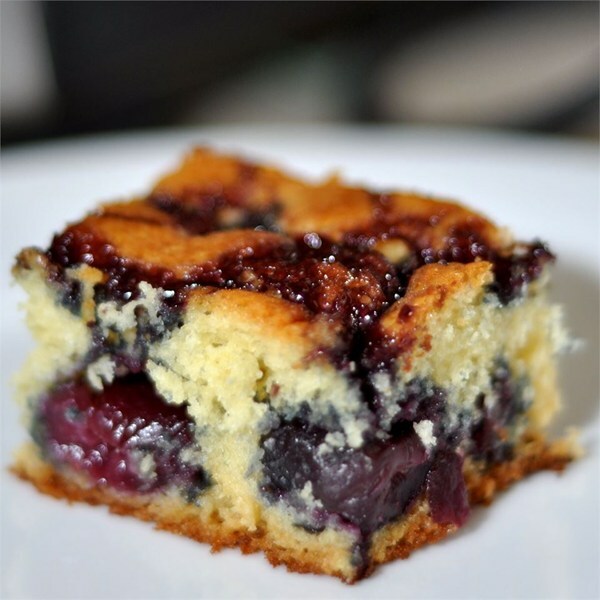 This Sweet Polish Cherry Cake Recipe creates a delicious homemade Polish cake with cherries for the whole family. Preheat oven to 350 degrees F (175 degrees C). In a mixing bowl, whisk 1 cup sugar, flour, baking powder, and baking soda together until evenly combined. Melt butter in a skillet over medium heat. Cook and stir the pitted cherries in the butter until they are tender, sprinkling them with 1 tablespoon of sugar, 8 to 10 minutes. Set aside. Form a well in the center of the dry ingredients, and pour in 1/2 cup olive oil, eggs, and yogurt; use your fingers to lightly stir the liquid ingredients into the flour mixture to make a soft dough. Scrape the batter into a 9×12-inch baking dish. 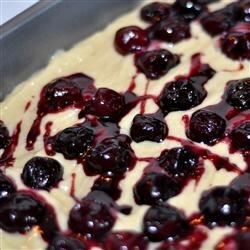 Drizzle the batter with 1 tablespoon of olive oil, and top with the cherries. Bake in the preheated oven until the cake is set and golden on top, about 40 minutes. A toothpick inserted into the center of the cake should come out clean. 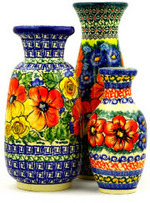 This entry was posted in Cooking with your Polish Pottery and tagged Cooking, Delicious, Dessert, Food, Polish cooking, Polish recipe, Texas food on August 11, 2015 by Sara.